Qasim Alhammad an IP Telephony Engineer by Day and blogger by night. Owner of the free social media forum MSocialH, loves to share blogging tips, SEO, making money tips and other topics at his blog Aliensmoney. Tumblr is known as a Micro blogging platform in a form of social network web site which enables you to reach out to many people online all over the world as well as show whatever you would like; you can build your online brand presence over it! it's a blogging platform that allows you to create blogs and add a lot of content in many forms, it allows you to add textual content articles, pictures, videos, links, chat and many other forms all from within your blog control board. It provides your blog a sub domain (yoursubdomain.tumblr.com) and all for free. 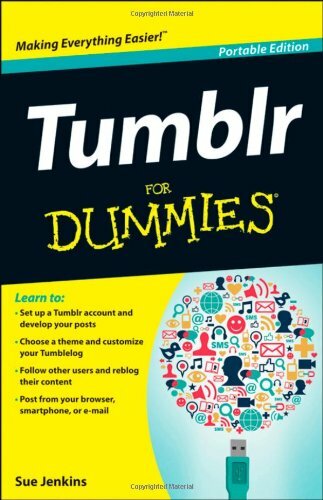 What can you do on Tumblr? Tumbler blogging platform allow to have complete customization over blog design, you can select on of the free pre-built themes or build your theme from scratch. You can also edit any free theme design as it provides you complete HTML personalization of the style of the blog, after selecting your theme you can start publishing your content right away and in many forms, you will be able to publish something in your blog that will instantly be published and shared with all your friends, or you can schedule your post to be published at the time and date that you want, eventually your post will still be shared with all your friends or followers. Certainly Tumblr does not supply any kind of Ads Revenue sharing program or even allows you to use Google ads block at your blog, however this doesn't mean that you can't make money on it; you can customize the blog theme HTML code and add required ads in the places that you want and start earning money from your Tumblr blog. One of the simple features of Tumblr is to add links with anchor text, description and tags; those backlinks will look like posts and will automatically get shared with all of your followers without requiring you to do anything, this is a great feature that can help you promote your own blogs or articles outside Tumblr. But make sure that you share other stuff as well like Videos, audios and unique Tumblr blog posts in order not to look spammy. I used it for good time and was receiving great traffic; but eventually get banned since I didn't interacte very well on it and I didn't post unique blog posts periodically. Tubmlr also gain top positions in search engine ranking for its posts and tags therefore backlinks gained over it will surely help you improve your search engine rankings. If you use Video revenue sharing websites like Videobb, Tumblr is a great way to increase your earnings by increasing your Videos views through sharing your videos on it, In general Tumblr is used as added personal micro blog that can help you interact with your friends and followers, promote your blogs and articles and have great times sharing videos and images, so go on create a Tubmlr blog and try having fun while blogging on it!